This is the flyer I handed out during my promotion over the weekend at a farmer's Market. 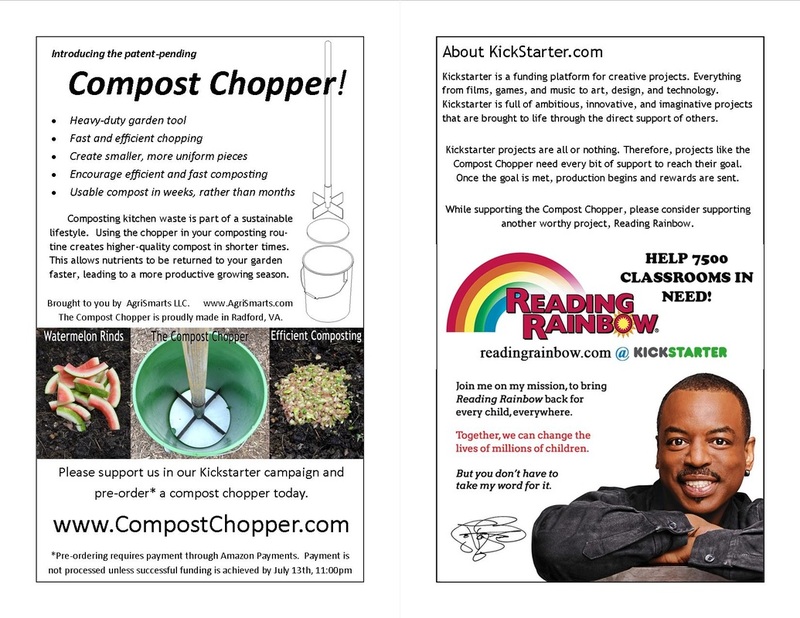 The chopper information was on the front, and the Kickstarter information was on the back. Of the people that came by the market, probably 40% knew about the Reading Rainbow campaign. About 50% knew about Kickstarter. Not bad for a small, relatively rural town... although it is also a college town most of the year.